MCL has a longstanding history of providing industrial automation, process instrumentation, and specialty valves to companies in the process, industrial, and manufacturing industries. It is the supplier of choice for world class manufacturers such as: MOGAS, Siemens Automation, Siemens Instrumentation, FCI, Richards Industries, Skycera, Pepperl + Fuchs and many others. MCL was acquired by E.B. Horsman & Son in October 1st, 2018. MCL’s process instrumentation and automation product expertise complements EBH’s full line electrical supply business and technical divisions. By Working together, and utilizing the strengths of EBH’s supplier partnerships and inventory management systems, EBH and MCL will be able to provide customers a robust industrial portfolio of products and services that is second to none. Building on a strong tradition of innovative thinking, Siemens has designed the next generation of coriolis flowmeters for excellence in performance, safety and user-friendliness: the SITRANS FC430. The digitally based SITRANS FC430 flowmeter features market-leading compactness, very high accuracy of 0.1%, low pressure loss, extremely stable zero point and best-in class data update with 100 Hz high-speed signal transfer. Unique support tools provide direct access to all operational and functional data, certificates and audit trails. The SITRANS FC430 is amongst the first Coriolis flowmeters to offer SIL 3 certification on the system, meeting the highest standards of safety and reliability. With the SITRANS FC430, process optimization has never been easier - or more innovative. 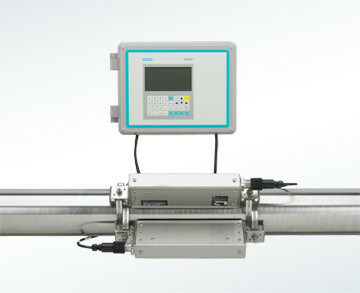 The complete flowmeter system SITRANS FC430 can be ordered for standard, hygienic or NAMUR service. All versions can be ordered for CT service, according to OIML R117 (Liquids other than water). All compact variants can be validated and configured for SIL2 or SIL3 operation as standard. SIL3 operation requires two flowmeters in series and monitored by a SIL rated control system. FC430 is available as standard with 4-20 mA analog output with HART 7.2. Additional input/output functions can be freely configured for analog, pulse, frequency, relay or status. The transmitter comes with a user configurable graphical display and new SensorFlash® technology, a micro SD card for configuration backup, firmware update and data storage. 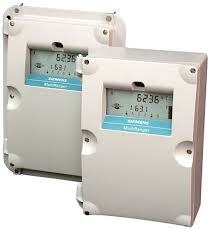 The SITRANS FC430 flowmeter system consists of a SITRANS FCS400 sensor and a SITRANS FCT030 transmitter.